Assam is presently going through a difficult phase with the state being divided purely on ethnic and religious lines. The ongoing process of the National Register for Citizenship (NRC), welcomed by both the majority of the Assamese speaking Hindus and Muslims, has sent alarming signals to Bengali-speaking Muslims who are worried about the outcome of the process. Bengali Muslims, who had come from Bangladesh, are skeptical about the intention of this process and see it as an attempt to send them back to their former country. On the other hand, the Citizenship Amendment Bill (2016), passed by the Lok Sabha which is yet to be passed by the Rajya Sabha, is being opposed tooth and nail by various Assamese organisations, who feel that the bill would dilute the ongoing NRC process. But the Barak Valley, comprising three districts dominated by Bengali Hindus who migrated to Assam from the then East Pakistan, now Bangladesh, is supporting the bill. NRC is a list of Indian citizens of Assam and was first prepared in 1951 based on that year’s census. 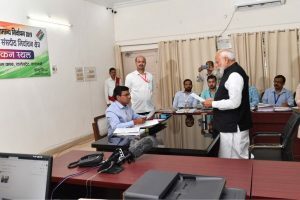 The current updation of NRC is following the principles of the Assam Accord signed in 1985 by the government of India then led by Prime Minister Rajiv Gandhi and the All Assam Students’ Union (AASU). For recognition of citizens, the accord sets 24 March 1971 as the cutoff date. The Assamese have been demanding removal of illegal immigrants, who came from Bangladesh, irrespective of their religion and the accord was the result of the various agitations led by the Assamese community. Majority of the Bengali-speaking Hindus and Muslims of Assam who migrated from Bangladesh are concentrated in the Barak valley. They are not regarded as natives of Assam by the Assamese community. They are very much concerned with the rise of Bengali speakers to 29 per cent at the expense of the Assamese speaking population which is now only 48 per cent — less than even half. However, it should be noted that majority of the Bengali Hindus who came to Assam are not illegal immigrants — they are refugees who fled East Pakistan (Bangladesh) fearing persecution. They have been the vote bank of the BJP and see the Citizenship Amendment Bill (2016), which seeks to grant citizenship to people of six religions — Hindus, Sikhs, Buddhists, Christians, Parsis and Jains — who migrated from Afghanistan, Pakistan and Bangladesh to India facing persecution, as their saviour. The bill would grant citizenship to the immigrants who came on or before 31 December 2014, and have resided in India for seven years replacing the present mandatory 12 years’ stay. The central government has clearly specified that the population of the indigenous community wouldn’t be affected and citizenship would be granted only if immigrants prove that they came to India facing religious persecution in their native land and this will be decided by the local administration. Nevertheless, there seems to be a strong consolidation of Bengali Hindus concentrated in the Barak valley behind the BJP. On the other front, Bengali Muslims are not sure about their future in the wake of NRC and are uniting behind the Congress party leaving the pro-Muslim All India United Democratic Front (AIUDF) led by Badruddin Ajmal, as witnessed in the recent panchayat elections of Assam. 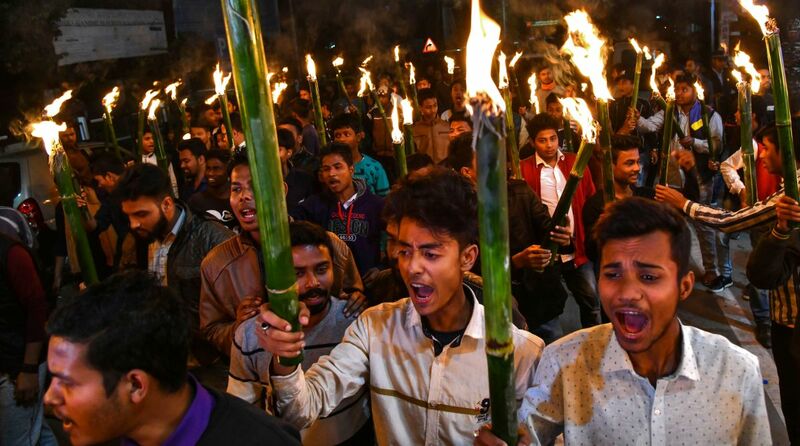 Assam politics have always revolved around anti-immigrant politics and Bengali Muslims have mostly faced the brunt of the anger of anti-immigrant agitations. The Nellie massacre of 1983, which claimed more than 3,000 lives of Bengali Muslims, when Indira Gandhi was the Prime Minister, bears testimony to the anger directed towards the community. This is the reason Bengali Muslims are alarmed due to the NRC process and are polarising behind the Congress, as they regard the party in the present scenario as the only option. If there is a polarisation on one side, it results in a counter polarisation too. There are high chances of consolidation of Assamese plus local tribals to counter the Muslim polarisation because anti-Bengali Muslim issue has been the core of politics in Assam. BJP knows the importance of the Assamese sentiments and the Chief Minister of Assam Sarbananda Sonowal has stated that the Citizenship Bill would not be implemented at the cost of local Assamese interests. Recently, the Union cabinet’s decision to set up a high-level committee to look into the implementation of the Clause 6 of the Assam Accord shows BJP’s attempts to win the majority by appealing to Assamese sentiments. Clause 6 of the Accord ensures protection of Assamese community in terms of reservation in Assembly seats and protection of Assamese and other indigenous tribes and jobs quotas. It is also a fact that no majority community would like to turn into a minority in their own native land. Clearly, BJP left with no options is now trying to pacify the discontent of the Assamese community by highlighting the Asomiya ‘asmita’. If the recent panchayat elections, that took place amid the Citizenship Bill controversy, are taken into account, the results suggest that the majority of the tribal plus Assamese have voted for the saffron party. So, in the upcoming Lok Sabha elections, Assam may witness a strong polarisation taking place with the Muslims consolidating behind the Congress party and pushing the Bengali Hindus and the tribal plus Assamese community towards the BJP guided by religious and regional sentiments respectively.